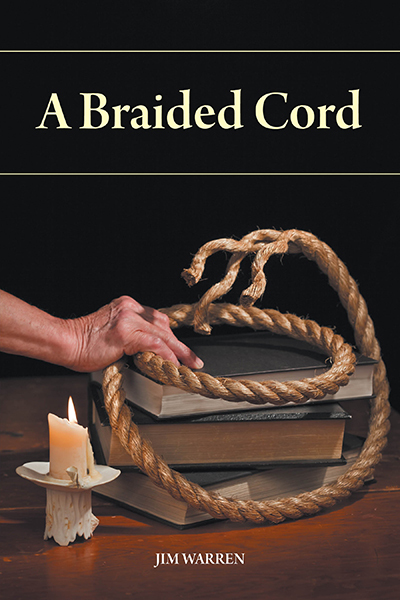 March 2014: "A BRAIDED CORD" IS OUT NOW! The follow up to Jim's "An Elderly Eclectic Gentleman," this new book describes life long learning expressed often as allegory or metaphor, but derived from life long events. The braided cord reflects the union of body, mind and soul, but because I am a surgeon, the body is topmost in my mind and my book. My exploration of flesh, and the rest, derives from 40 years of surgery and anatomy. All of us are in nature and of nature and there are no natural borders that divide us. To see nature and ourselves as through a prism leads us to the perception that we are broken up from ourselves and nature in the spectrum and we create borders that are artificial. We owe it to ourselves to embrace the Universal so we can arrive at the point that we realize we and nature are one white light. When we do, the ordinary becomes extraordinary, and a sense of unity will follow. I can’t think how, in the past, I could have been so dumb. This book is both playful and intense but like nature, despite its diversity always returns, to a single theme. 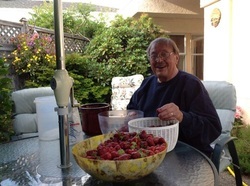 I plant beans amongst the strawberry plants when they have done producing berries and they start to rest.The beans are sheltered and add nitrogen to the soil to benefit the strawberry plants next year. They are made for one another. As William Shakespeare says in Sonnet 116 about love, "Let not to the marriage of true minds admit impediments." I'm just doing what he says.